Hey, DJ! Play us something we can swim to! 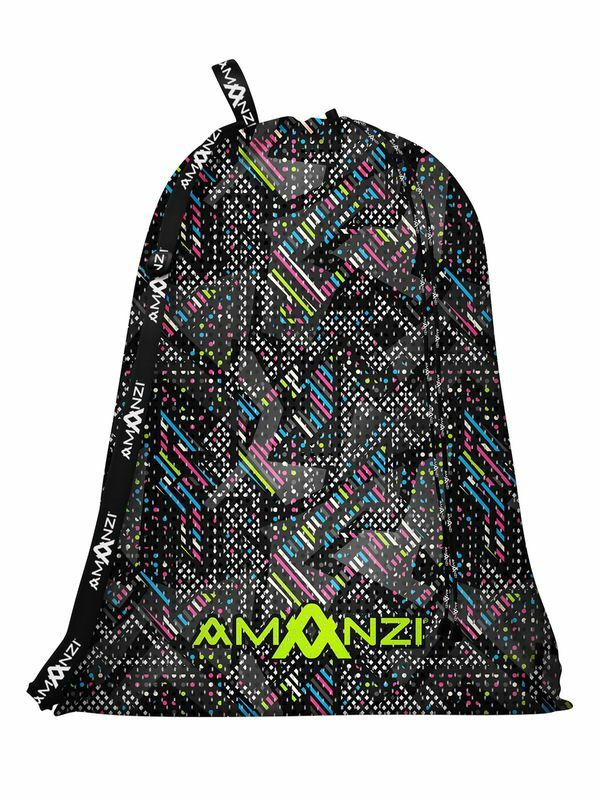 For a look that’ll leave you ready to bust a move, you’ve got to get your hands on the AMANZI Boombox Mesh Bag. This funky bag is an explosion of colour in a polka dot and stripe print in vibrant shades of watermelon, shamrock, blueberry, coconut white, and charcoal over a midnight black base.